Daniella Vieira, a former Ohio State student, is a DACA recipient whose status ends in a year. Attorney General Jeff Sessions announced Tuesday morning that the Trump administration would "wind down" President Obama's DACA program, revoking legal protections to about 800,000 young people who entered the country illegally as children. Deferred Action For Childhood Arrivals, created through executive action in 2012, covers certain individuals without criminal records who came to the country under the age of 16. Currently, 5,200 people in Ohio have received DACA status, and about 13,000 more are eligible. Nathali Bertran, a Columbus resident and DACA recipient, says the decision to end DACA will lead to huge consequences for more than the immigrants themselves. "A lot of people think that we are taking jobs and we're taking people's money, but we are actually contributing and creating jobs and giving financial help to the country with our taxes every single day," Bertran says. "I think there's going to be a big financial impact then. Communities are going to be torn apart and families are going to be torn apart." Danielle Vieira, an Ohio State alum, says the decision leaves her lost and confused. "I think, irrationally, you keep trying to come up with, like, a plan in my head that I have to go back to my birth country and try to make a life there, or I can just give up on my career here and try to live here and continue to live in fear," Vieria says. "None of those paths are really want I want. Neither of them are really what I worked for." Already, the news of DACA's revocation has drawn condemnation and calls for legislative solutions from local and national leaders, including Ohio's members in Congress. Rep. Pat Tiberi, a Republican who covers OH-12, said the phrasing out of DACA is "good news for the rule of law" but said Congress should be empowered to write immigration laws that cover DREAMers, as the young immigrants are known. Rep. Steve Stivers, a Republican who covers OH-15, echoed that sentiment. Ohio State University president Michael V. Drake says the school urges Ohio's Congressional delegation to turn existing DACA policy into law. Drake has said the school doesn't keep numbers on DACA students, but the number is in the dozens. Republican Sen. Rob Portman called DACA an "unconstitutional executive action," but said he supports bipartisan efforts to allow those populations to stay in the country. Democratic Sen. Sherrod Brown, in his own statement, criticized President Trump for going after"innocent children." "We should not be targeting young people who are working, going to school, paying taxes and contributing to this country - the country they grew up in and the only home they've ever known," Brown said. Indeed, Bertran moved with her parents to the U.S. when she was 9 years old. "So I really didn't have a voice in that decision, but it really did change my life and I feel like it has given me all the opportunities that I wouldn't be able to have had we stayed in my country of residence, which is Peru," Bertran says. 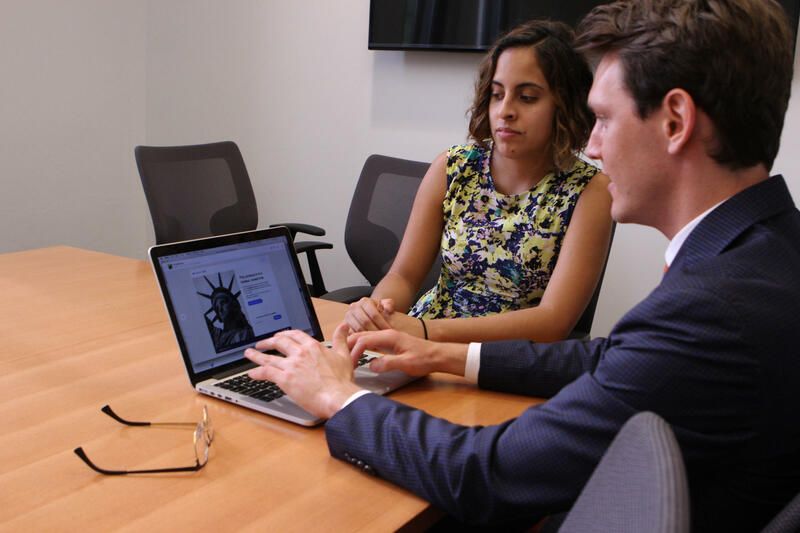 Nathali Bertran, a DACA recipient, was one of two creators behind DACA Time, an app to help undocumented residents apply for legal status. Bertran now works as an engineer at an automotive company in the area, but says she's uncertain about her future. She recently renewed her DACA status for another two years, which the White House says it will honor, but other DACA recipients face deportation as early as next year. "I have to go ahead and kind of prepare for the worst but hope for the best," Bertran says. Vieira now lives and works in New Jersey, but says she came to the U.S. in 2005 with her mom on tourist visas. She's been covered under DACA since 2012, while going to school at Ohio State, and says she doesn't regret giving the government her information. The White House said Tuesday it will no longer accept new applicants for DACA, and will cut off renewals in October, leaving any other fixes to Congress. According to NPR, ICE says its priorities for enforcements have not changed and it does not plan to target DACA holders as their permits expire - a major worry among immigration activists. Vieira says DACA allowed her to go to school, gain job experience and receive internships. In fact, 92 percent of DACA recipients have jobs, and the program's end means individuals have to decide if they should try working under the table or leaving entirely. "I think that we know what it's like to live in fear and live in hiding from before DACA," Vieira says. "If anything, it gave me five years of having a little bit more peace of mind." Correction: A previous version of this story understated the number of DACA recipients in Ohio. As of March 2017, 5,200 people have received DACA. Columbus City Council member Elizabeth Brown met Wednesday evening with local immigration advocates to discuss the impact of federal immigration policy. The meeting, part of a nationwide "Dreamer Dinners" campaign, comes as the future of the DACA program is increasingly uncertain. 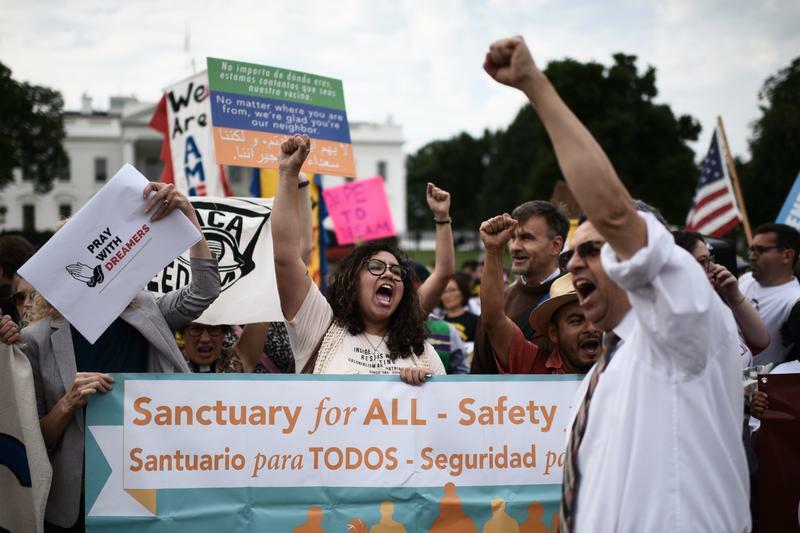 The results of Tuesday's presidential election could have a huge effect on hundreds of thousands of young immigrants living in the U.S. under a temporary status known as Deferred Action for Childhood Arrivals, or DACA. WOSU spoke with four DACA students who have to watch this election from the sidelines. Like many millennials, Brook Kohn and Nathali Bertran met through a dating app. It took a few months before Bertran decided to tell Kohn about her immigration status. "It wasn't the first thing she told me right when started dating," Kohn says, laughing.